Satcom Direct (SD) signs Avionics Services as first Latin American hardware reseller. Satcom Direct Brazil, the regional headquarters for business aviation connectivity, software and hardware provider SD, appointed São Paulo-based Avionics Services as the first SD hardware dealer and installer in Latin America during LABACE 2018. The deal gives Latin American business jet owners and operators a single, local, source for purchasing, installing and supporting SD equipment for executive aircraft and rotary machines. SD customers operating in and around Latin America also benefit from enhanced customer support as immediate access to full SD hardware maintenance and installation expertise is now available through Avionics Services. “It really is a milestone for us to work with SD to provide improved business aviation connectivity options in Latin America. It heralds a new era as regional owners and operators will now have the confidence to install these complex systems, knowing they have a local business with extensive avionics experience to support them. We are excited for the possibilities,” says João Vernini Filho, Sales and Marketing Director, Avionics Services. 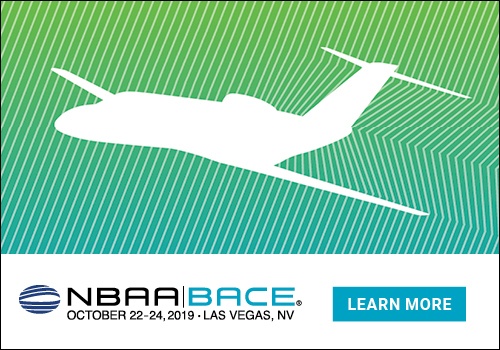 During LABACE the SD team promoted the new arrangement, along with its full product and service portfolio including the latest enhancements to its digital flight operations platform SD Pro®. A new Advanced Connectivity module enables users to generate a predictive connectivity map for each flight which graphically highlights network coverage, and any associated issues along the route. The feature aims to prevent loss of connectivity as it highlights dead zones and regional areas where data may be at threat from intrusion. The latest SD Pro Threat Monitoring module upgrade gives flight departments more visibility into the types of threats identified, as well as the ability to view and sort threats by category. Data analysis enables flight departments to make better informed connectivity decisions about user behaviors and security policies and stay ahead of any potential vulnerabilities. Combined with SD hardware, SD Pro gives users more insight and control over onboard connectivity and how it is functioning. “As connectivity becomes increasingly important we are innovating and adding new products to our suite of services. Our enhanced SD Pro technology, the signing of the new Avionics Services agreement, and our growing local-language training portfolio adds real value for our local customers and represents a strengthening SD presence in the region. It exemplifies our commitment to giving the best customer connectivity experience in Latin America,” concludes Libaino.